ROCKWELL Off Road Styled Wheels by Black Rhino. 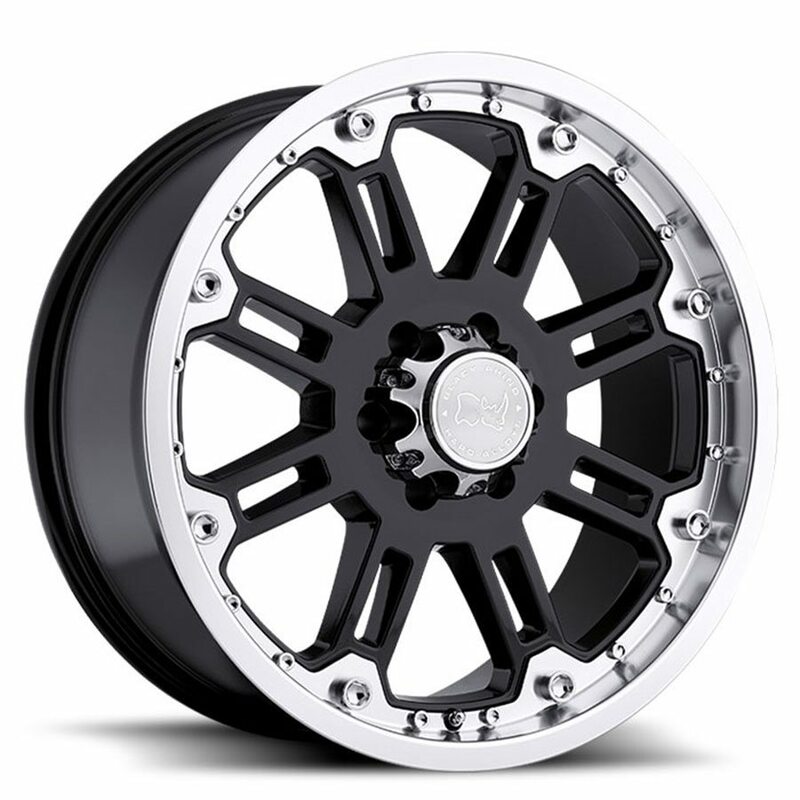 The ROCKWELL is a thick open styled multi-spoke off road wheel, which leads to heavy duty bolt accents around the lip. The ROCKWELL is an aggressive off road wheel named after a natural area in the northwest corner of the little Sahara, home to 60,000 acres of sand dunes and trails. The ROCKWELL was designed in two tough finishes; solid Matte Black and Gloss Black with a machined lip to enhance the look of your stock or lifted truck. These off road wheels are available in 17×9”,18×9”,20×9”, with offsets ranging from +12mm, 00mm, -12mm. Each wheel is engineered to carry the heavy loads often associated with Trucks and SUV’s. All wheels are either hub-centric or supplied with centering rings to ensure a smooth vibration free ride. ROCKWELL off road wheels by Black Rhino.